"Some of the children rushed home to tell the people of the invasion by the herdsmen and by the time we got to the stream, the herdsmen had fled but we met the lifeless bodies of the kids"
Will this bloodletting ever stop? Five people have been killed in fresh attacks by herdsmen in different locations of Benue State. 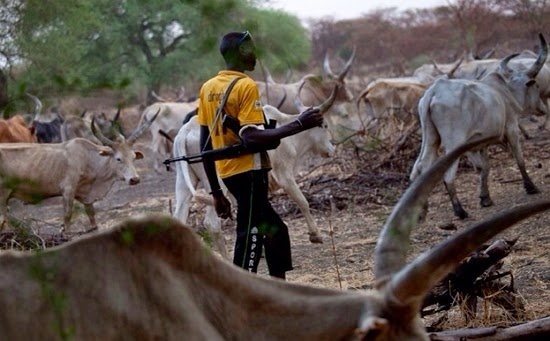 Four persons were reportedly killed by herdsmen at the Guma and Agatu local government areas of the state on Sunday, while one herdsman was reported killed at Lower Benue, a suburb of Makurdi, on Saturday. The incident in the Agatu LGA was said to have happened at Olegobiudu where two persons were allegedly killed with one of the victims said to have been beheaded. A native of the community in Agatu said that the incident happened on Sunday when about seven boys in the area went to have a bath in the community stream. The native added that the little children who were aged between 10 and 15 years were ambushed by the herders who shot at them and killed two toodlers. The incident in Guma was said to have occurred at Tse Samaka when herdsmen attacked and killed two of those who braced the odd to visit their homes. The Commissioner of Police in the state, Fatai Owoseni, confirmed the killings during a meeting he had with the leaders of the Miyetti Allah Cattle Breeders Association of Nigeria.